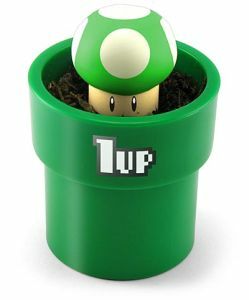 That’s right.� 1UP has gone down the tubes.� The top story on 1UP.com tells of its recent buyout by self-proclaimed “gamer lifestyle portal” UGO. 1UP has been in a desperate state for a little while now, mostly following parent company Ziff Davis filing for bankruptcy last year.� It’s obvious that UGO picked up this hot property due to its street cred alone, oblivious to the fact that it’s 1UP’s reputable and highly intelligent staff that earned it this credibility.� It’s obvious because UGO laid off 40 promenant staff, including some veteran editors whom I respected very much.� A peek at UGO’s senior staff doesn’t instill much faith that they even know what “gamer lifestyle” is. A full list of 1UP’s canned staff can be found in this Joystiq report. I doubt these layoffs came as a surprise to any 1UP staff, though the immediacy probably blindsided most.� It wasn’t long ago that Ziff Davis shut down Games for Windows Magazine (nee Computer Gaming World) with Editor In Chief Jeff Green jumping ship shortly thereafter, followed a week later by the intellectual and crass Shawn Elliottt, both of whom now work as game designers at major development houses.� These two talented fellows are luckier than the others because they are now comfortably employed. I’m pretty furious at UGO, whoever they are.� They’ve spelled the end of my favourite TV show, the 1UP Show, and some of my favourite podcasts, not to mention the editorial articles that were heads and shoulders above pretty much every other gaming site.� What made 1UP unique was the fact that they were journalists in the true sense of the word.� Its editors were insightful and articulate and found a way to portray a fun editorial voice without dumbing down the verbiage or impact of the content.� I don’t know where to get this experience now, but considering the numerous mentions of inane “Top” and “Best” lists on its front page I can guess it won’t be UGO. P.s., anyone know where I can get the full archives of the 1UP Show?� I can only get the last 20 or so from Miro, but there’s been about 150 episodes.� I contacted several people at 1UP over the years, begging them to let me pay for this free content so that I could own it on a disc, but no one ever replied. P.p.s., here’s Jeff Green’s expanded reaction from his blog.� This man worked for Computer Gaming World magazine for 17 years so I appreciate his omniscient more than any other on this matter.� The other editors called him “Dad”.